Nice one. 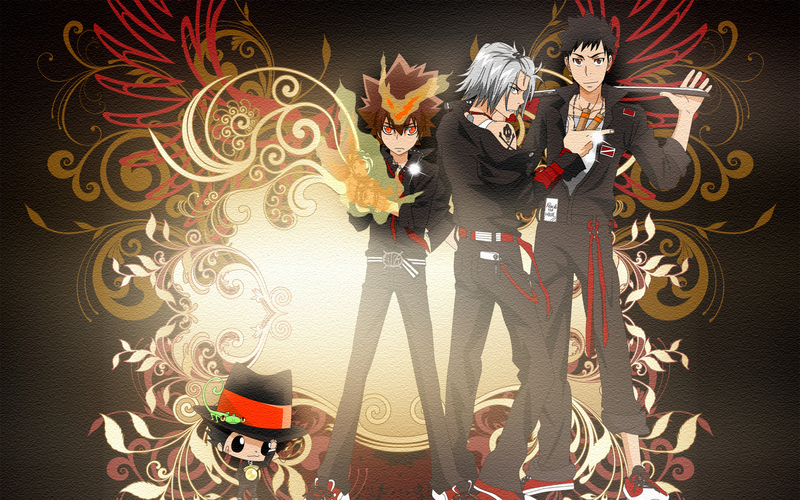 I personally prefer the vongola symbol on the background though. Very nice wallpaper. The bg design is very interesting. the background is rather intricate ... I thought it was overwhelming at first but when I looked a bit longer it actually fit very well and isn't completely crushing the viewer. Great scan used here. :) Thanks for sharing and please keep up the great work. The PICTURE IS PRETTY AMAZING! wonderful :D i like the background ! Very cool wall. I like. Very good waork. Thank you. 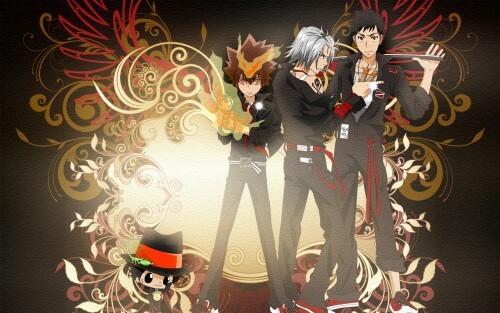 Great pictures animations of Hitman REBORN! thank you very much $ sharing! Thanks For The Sharing . . .